Do You Refract ‘The Light’? Twenty-six thousand! You read that right. 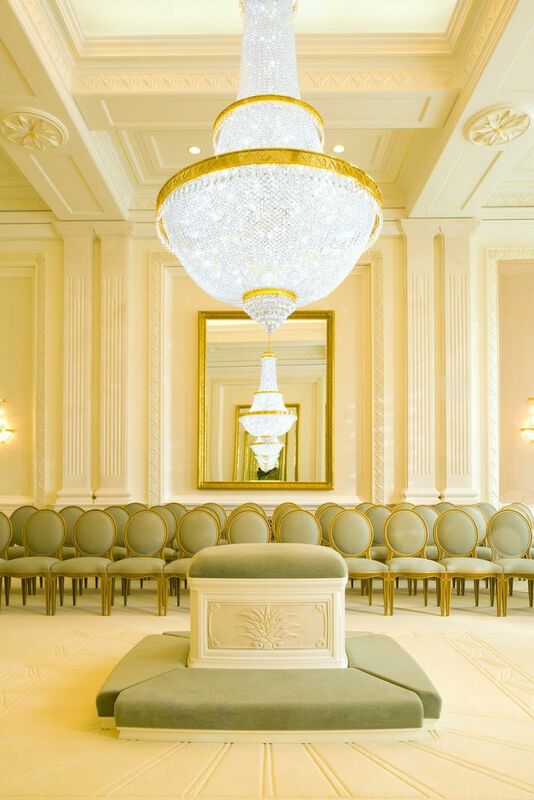 There were twenty-six thousand hanging crystals to individually clean, by hand, on the massive and breath-taking chandelier that floated above our heads in the Celestial Room of the Dallas Texas temple of The Church of Jesus Christ of Latter-day Saints. It took eight volunteers a combined thirty-five to forty hours over two days to accomplish the task. As I stood on scaffolding wiping each crystal with alcohol and water-moistened white cotton gloves I marveled at all the cuts made to the once solid blocks of crystal creating the prisms. Those prisms would refract—meaning divide or split—the light from one central source and scatter it in multiple directions in many beautiful colors. One light would become many points of light. Across the hall from where I was working was the largest of many sealing rooms in the temple. It also has a beautiful chandelier, hanging over the altar in the center of the room where many a couple had knelt to commit to each other and the Lord, and be married for time and sealed for eternity. When the crew working on it had finished and the chandelier was lit I heard a gasp from that room. Turning to look I saw the lowered chandelier absolutely sparkling. It was so beautiful. It was so brilliant. 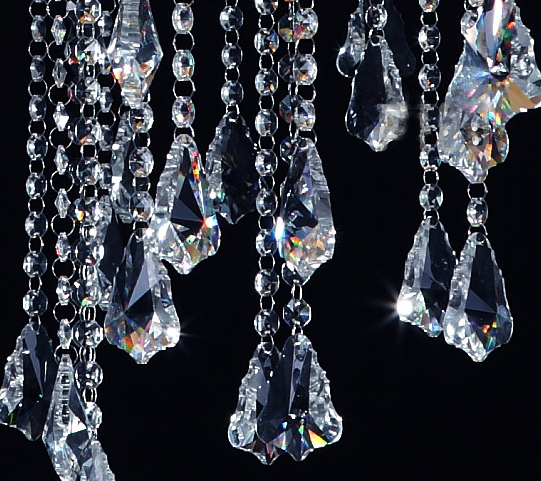 Glistening, the prisms shared the light that filled them in hundreds of ways with all those around them. Immediately I saw a gospel application. Do you? Jesus, the Christ, came into the world to teach us how to live and love. Besides fulfilling the Old Covenant and teaching the fullness of the New, his message was one of love, service, and kindness to all men. He taught all were our neighbors, all were deserving of compassion and forgiveness. He showed us how to do those things. Regardless of reciprocation or reward. He taught that we should serve so our light would shine, not to draw attention to ourselves, but for the purpose of glorifying our Father in Heaven (Matt. 5:16), to “give light to them that sit in darkness (Luke 1:79), and show others the way to a brighter life by living the gospel. Though He is gone physically from among us His light can still be seen through those who know Him and follow His example. Those who love others, extend patience, and offer forgiveness. Those who fill unfilled needs, who visit the un-visited, and who offer kindness to the undesirables. Those who lift hearts with song, with plates of goodies, or with a listening ear. Those who offer their talents, offer their time, or offer hope. Those who have found the light of the Lord and His restored gospel, and have allowed it to fill them, can share that light – and love, and joy, and peace, and hope – in countless ways with all those around them. They can sparkle. They can shine. They can refract. “Serve anyone you want, any way you want” this December 1. That’s the message of the Church’s Worldwide Day of Service, which kicks off a month-long “Light the World” Christmas initiative encouraging members to share the light of Christ through small, but meaningful acts of service on each of the 25 days before Christmas. Have you found The Light? Can The Light be seen through you? Look at yourself. Clean yourself if necessary so The Light can shine through you in a multitude of ways. The need is great. The possibilities are endless. The blessings are many. Go and refract. This entry was posted in Service and tagged #LIGHTtheWORLD, Christmas, Jesus Christ on November 29, 2016 by Bethany Packard. Oh, thank you for sharing this experience. It is meaningful and applicable to each one of us as children of God our Father. I hope I see it in more places so I can remember it divine application. Stunning to understand the work that you did to honor that holy place. Thank you again so much. Thank you Kaye. If we open our eyes, and hearts, we can find spiritual application all around us, can’t we? Many blessings.